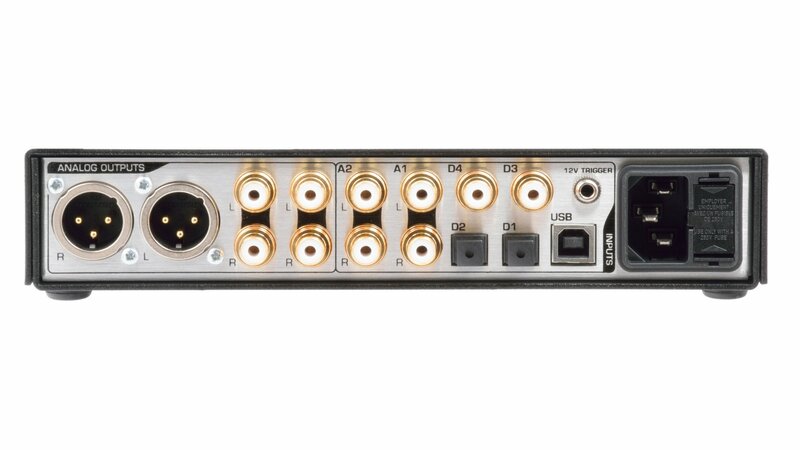 Digital inputs pass through a 32-bit digital volume control. Analog inputs pass through a traditional analogue volume control. Both share the same knob. "Very impressive amplifier for its size... about the best compact power amp I have encountered." "If ever there were a reason to shout how we are living in a golden age for music lovers, it would be Benchmark DAC-shaped." "Despite its rather small appearance, the DAC3 deserves to be a hifi stereo’s main centerpiece." "Specification and performance of the DAC3 for its price is simply outstanding!" 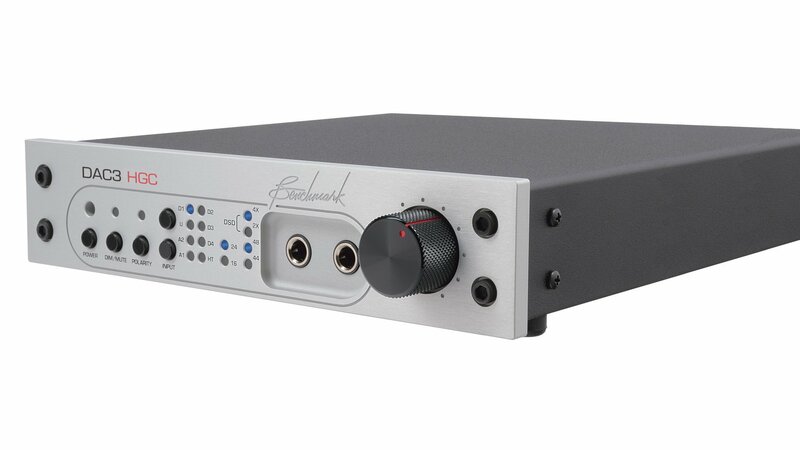 "A fantastic converter with a fantastic headphone amp, which can also double as a fantastic preamplifier." "Benchmark believes that what comes out of their converter should be the same as what goes in." 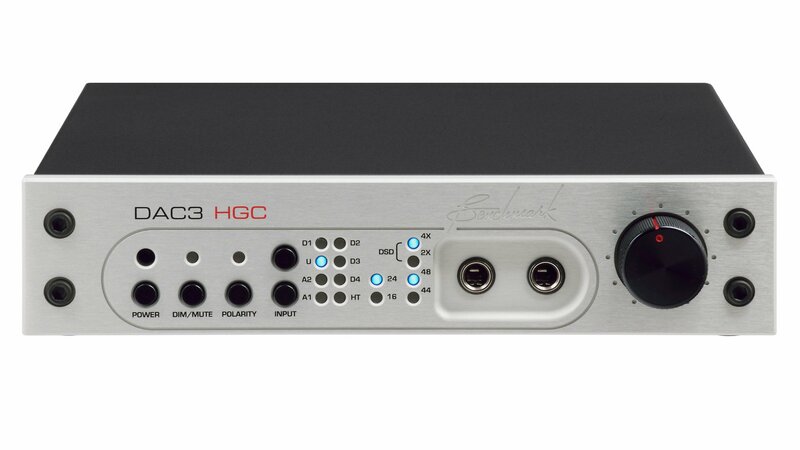 "DAC3 HGC ensures Benchmark Media’s continued leadership in high resolution digital audio." 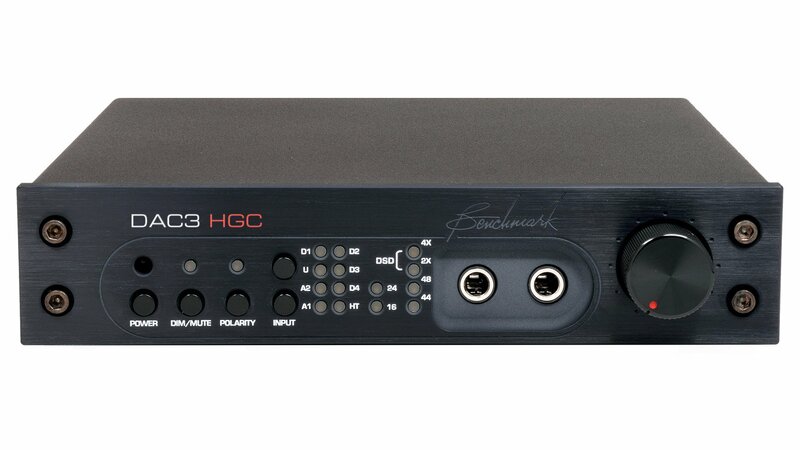 "True to form, the DAC3 HGC suffers no obvious flaw in its technical performance."